Multi Disc packaging to hold anywhere from 2 discs to 24 discs. Discs can be in one package or multi volume sets. Packaging options include: Slipcase Sets, boxes, digipaks, books, jackets, and folders. Media options include: CD, DVD, BlueRay Recordables, Clear Sub, and options for mixed media such as books, usb, vinyl, and video lcd panel. hardbound books, made with rigid chipboard core material wrapped with 4C printed / laminated paper, or with fabric such as line or material like leather. Discs can be held with trays, glued on sleeves, swinging sleeves or hubs. Inner pages are 8pp+ and can be perfect bound if over 28pp. Beyond the traditional digipaks lay full color digipaks with spectacular special effects, paper stocks, alternate types of trays, and wild folding configurations. They have die cut shapes, funky raised areas with gloss, special paper booklets.....custom. These are beautiful, deluxe box sets made to hold any number of discs, media, books, retail items, etc. Core material is a rigid chipboard gray board. Wrap can be a 4C printed/laminated wrap, or a fabric such as linen or hemp, or a material such as leather vinyl. Any dimensions, hinged or two piece. 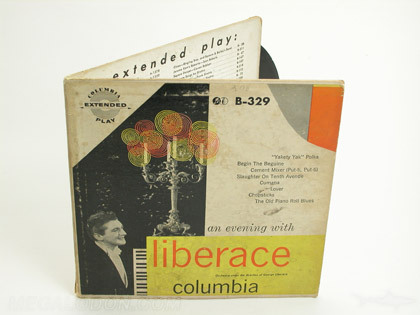 Retro style LP packaging made with a rigid chipboard core and book binding construction, available in either a cd size 5inch, vinyl size 12inch or anywhere in-between. Box sets, winging sleeve with die cut centers, inner sleeves in LPs, all kinds of authentic retro options. Die cut jackets can made be in any shape. Discs can be held with pockets or glued on sleeves or hubs - anything but a tray, in which case we call it a digipak. Paper stock can be traditional or uncoated matte or fiberboard or kraft. Special effects foil stamping, embossing / debossing, spot gloss, all available. 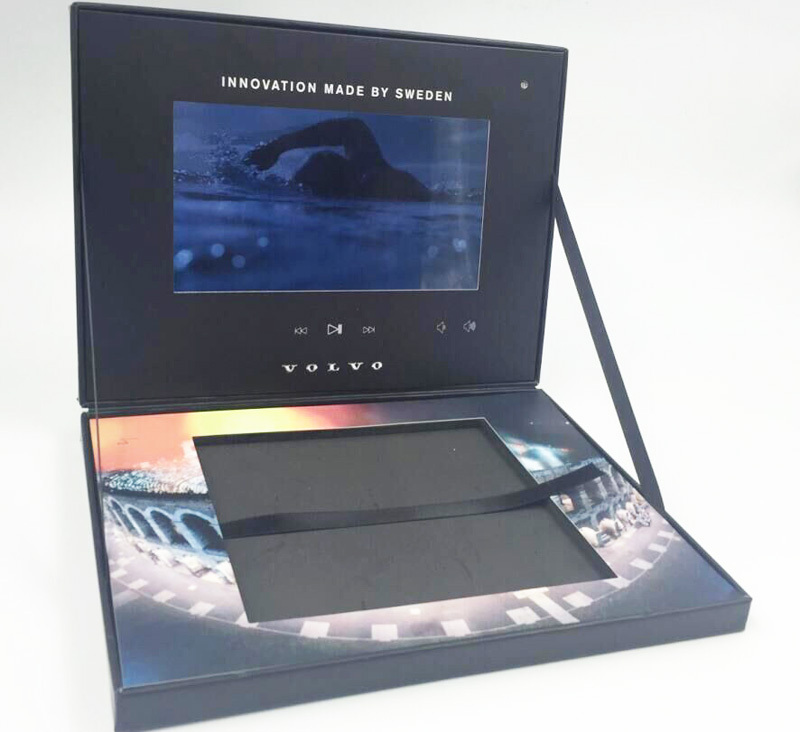 Video LCD Panel presentation folders,gift boxes with video in lid, video hardbound books, lobby kiosks, all with video lcd screens built in, Programmable buttons and usb upload.